Arsenal playmaker Aaron Ramsey reportedly has a verbal agreement to join Serie A giants Inter Milan during the January transfer window. Ramsey will see his current contract wit the North London club to expire at the end of the 2018/19 season, and the 27-year-old will not sign a fresh deal with the Gunners following a complete breakdown in talks over pay rise. A number of teams have been rumoured with a swoop for the Wales international attacker, however, according to La Repubblica, Inter have a verbal agreement to sign the 27-year-old star this summer. 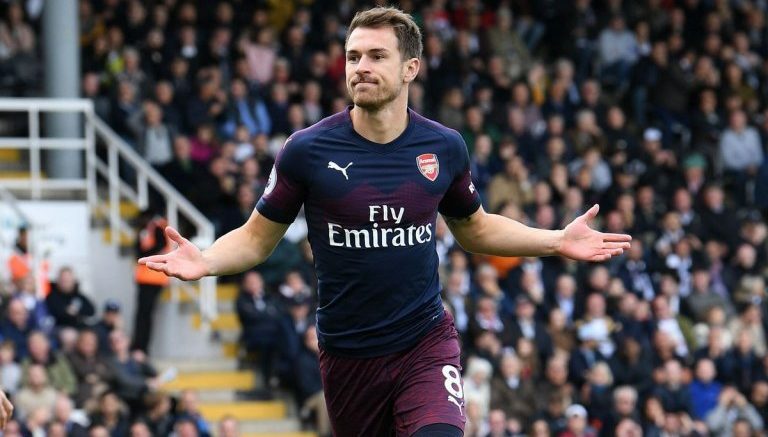 Ramsey, who joined the Gunners from Cardiff City back in 2008, has found back of the net twice in 21 games for his club this season. Be the first to comment on "Deal Agreed: Arsenal seal verbal agreement over January transfer to Serie A giants"